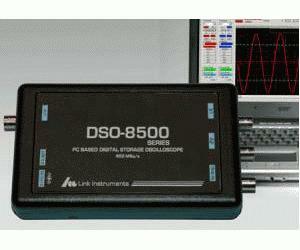 The DSO-8502 is our newest series of USB 2.0 PC Based Oscilloscope. The DSO-8502 Oscilloscope operates at up to 500 MSa/s. Other features include a Spectrum Analyzer (FFT), Pulse width and count triggering, Channel History buffers, Pass/Fail testing and many measurements.